It is time. The signal by the earth has been given. The smallest of seeds begin germination. After a cold long winter, a tiny insignificant desire that was safely tucked away between the strewn leaves and dead grasses starts the first steps along a way defined by countless others before it. A life lovingly discarded so that it may have the opportunity to rise up amongst the wisest of creatures. The process beings to take shape. 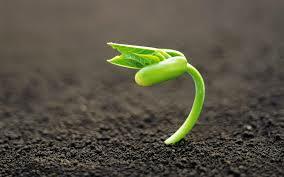 First an indistinguishable vibrant green sprout, rising up out of defiance, ignoring the odds against it. A life so delicate, it could be extinguished under foot or even starved of its life force by a leaf of its kin. Yet potentiality continues to unfold, its inherent desire is to be loved by the sun. The tiny green shoot begins to receive the nurturing light of the sun and in an attempt to spread its arms, it sends down roots so that it may support its own desire to reach, to climb and to adapt. The radiance of the sun entices the continuous youthful growth and after a couple of years, distinguished as a sapling, it remains supple and forgiving, continuing to adapt to the changes of the season and evening avoiding the shadows cast by its closest family. Following an intrinsic knowledge it follows an almost Fibonacci sequence of growth, perfectly characterized by the spacing of its limbs and fanning of its leaves to have even more surface area to be kissed by the sun. As the sun becomes sparse and the cold grip of winter lies in wait, it begins to prepare for its love’s departure by forsaking the nourishment of its leaves and allowing them to fall to the earth so that it may have sustenance in the absence of its sun. Even in the presence of death and decay and malnourishment, the young tree never relents its love for the sun, because of its unwavering faith that it will return. Looking forward to the day when i t will offer new leaves to be cherished by the sun, it sends its roots deeper into the ground to support its inevitable transformation when spring returns. This relationship continues, unwavering even in the multitudes of ebb and flow over the years. It watches from a height as generations of other living creates come into existence and come to an end. 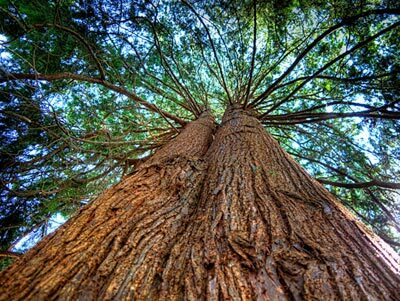 Sometimes even lifting up the microscopic nutrients of their remains to the highest limbs, and releasing the constituents of what once gave them life, and mobility back into the world. It does this for the glory of the illuminated world. As long as the sun burns in the heavens, its life force burns for the sun. Ceaselessly receiving the gifts of the world, sunshine and rays, and transcending its own existence by offering up life support for other creatures, big and small. Because the sun has loved it, it loves the world, and continues relentlessly pursuing the glory of life by creating its own tiny cocoons of life force and offering them up to the wind and scattering them amongst the ground, so they may too come into being and have the same opportunity to be. The tree never questions. It does what it does though the intrinsic ability to do so. It stands stoic, affirmed and symbiotic with the life around it. This tiny spark of life, was given a way. It follows this way to transcend and elevate its own being with purpose through a devotion to light and love.